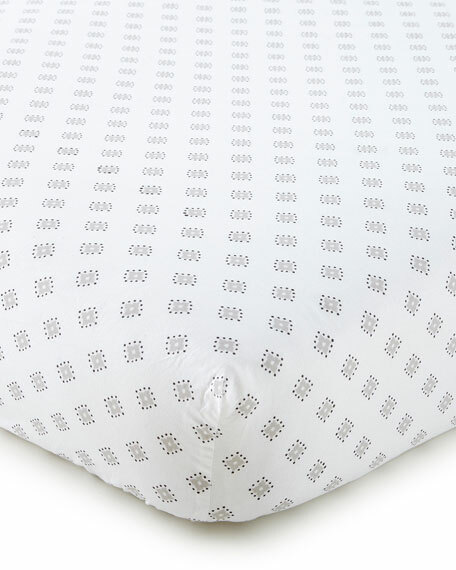 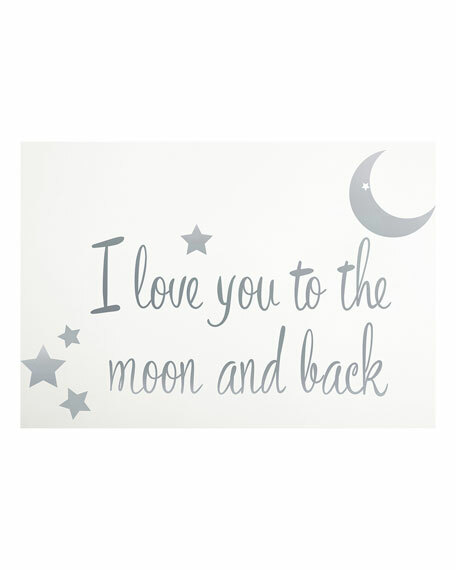 The Levtex Baby Willow Nursery Collection features a beautiful ruched quilt, a 100% cotton crib fitted sheet, a three-tiered dust skirt, a diaper stacker and metallic silver wall decals with the phrase "I love you to the moon and back" featuring a crescent moon and star. 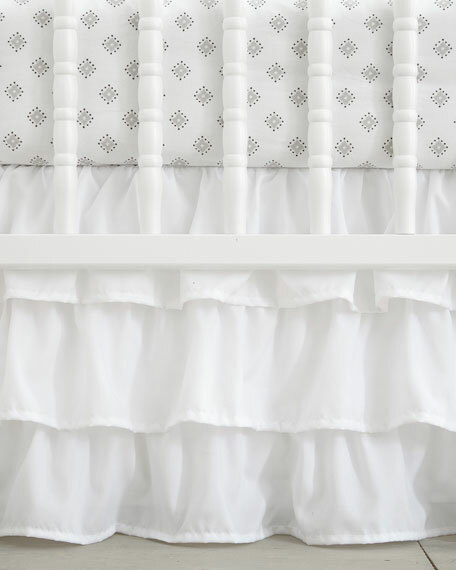 Five-piece crib bedding set includes: one quilt (36" x 45"), one fitted sheet (28" x 52"), one dust skirt (16" drop), and one diaper stacker (16" x 10.5" x 8"), and wall decal. 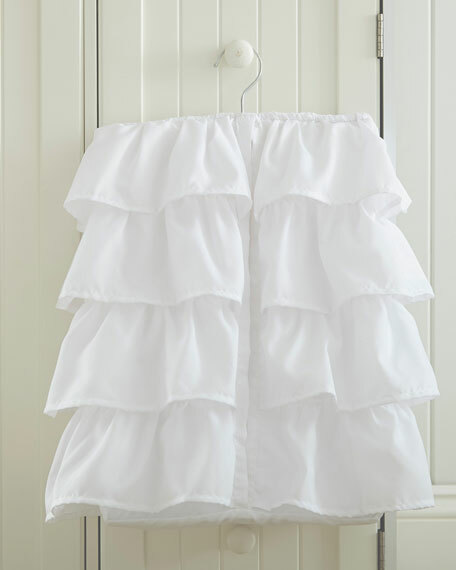 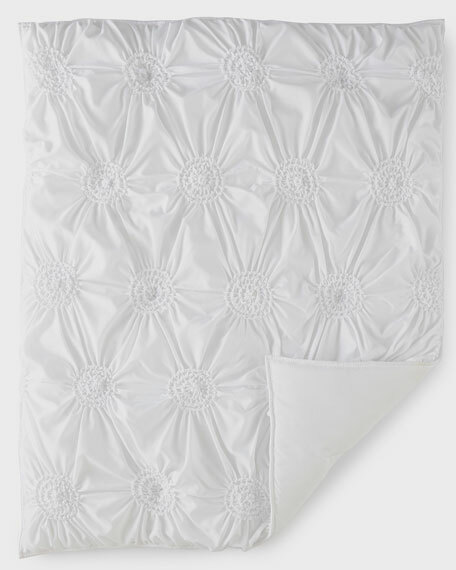 Quilt, dust skirt, and diaper stacker: polyester.